- Dr. Vallarta and Dr. Zaner: We like to welcome Dr. Ruperto Vallarta and Dr. Caitlin Zaner who has joined CMG in April 2019. Please visit our Professional Staff page to learn more about Dr. Vallarta and Dr. Zaner. - New Mommy and Me: sessions starting at Capitol Medical Group. 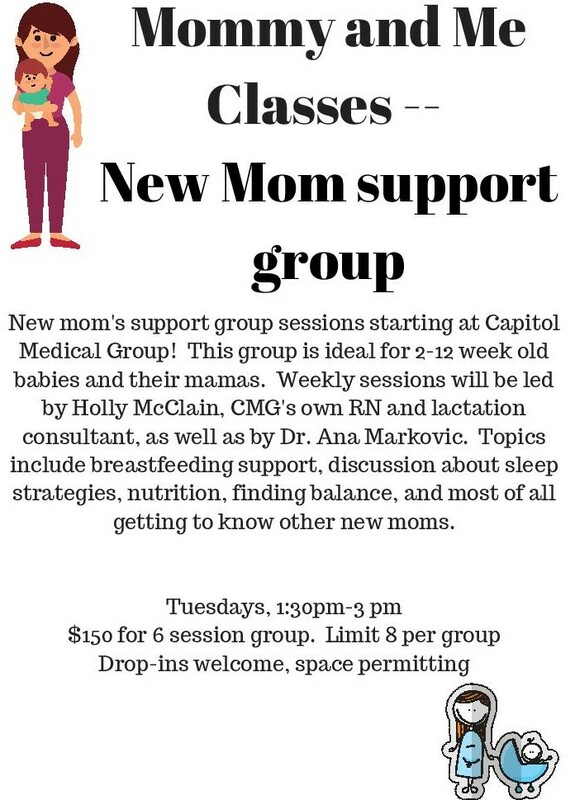 Weekly sessions will be led by Holly McClain, CMG's own RN and lactation consultant, as well as by Dr. Ana Markovic. For more information visit the link here. Please call the office 301-907-3960 or stop by the front desk to register. -New Mommy and Me Yoga: sessions starting at Capitol Medical Group. 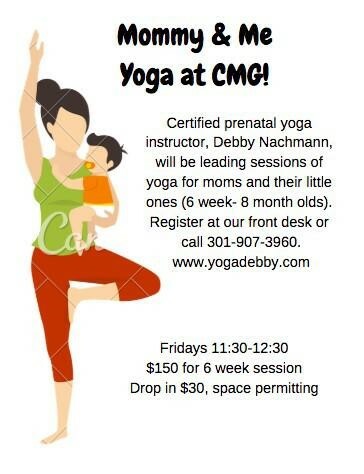 Weekly sessions will be held by certified prenatal yoga instructor, Debby Nachmann. For more information visit the link here. Please call the office 301-907-3960 or stop by the front desk to register. 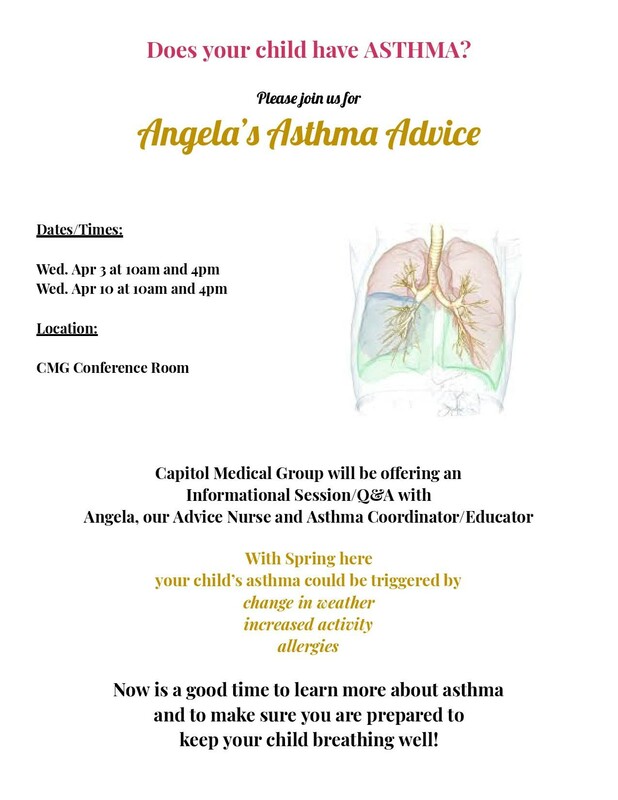 - Asthma education session- Capitol Medical Group will be offering a free Informational Session/Q&A with Angela, our Advice Nurse and Asthma Coordinator/Educator. With Spring here your child's asthma could be triggered by change in weather, increased activity, allergies. Now is a good time to learn more about asthma and to make sure you are prepared to keep your child breathing well. Next sessions will be held on Wednesday, April 17th and May 1st at 10 a.m. and 4 p.m. Please call the office 301-907-3960 or stop by the front desk to register. - Internal Medicine: CMG now also has an Internal Medicine practice. Dr. Timothy Arling is board certified Internal Medicine physican Please call 301-304-8800 or visit http://www.cmgadultmedicine.com/ to schedule your appointment. - Dr. Snow: We want to let everyone know that Dr. Snow will be living in Canada from August 2018-August 2019. During that time she will be returning to CMG to see patients for two weeks at a time approximately every other month. Her schedule is currently open through February of 2019 and appointments from there on will be made available as soon as possible. As of August 2019 she will return to the area and resume her usual schedule. - Scheduling: We are now scheduling one year out! - CMG before hours: Our office is now open at 7am. We will see sick children (walk-ins)without appointments between 7am -8am on a first come, first served basis. Our phone lines do not turn on until 8:00 a.m.
- EMR: We are electronic! 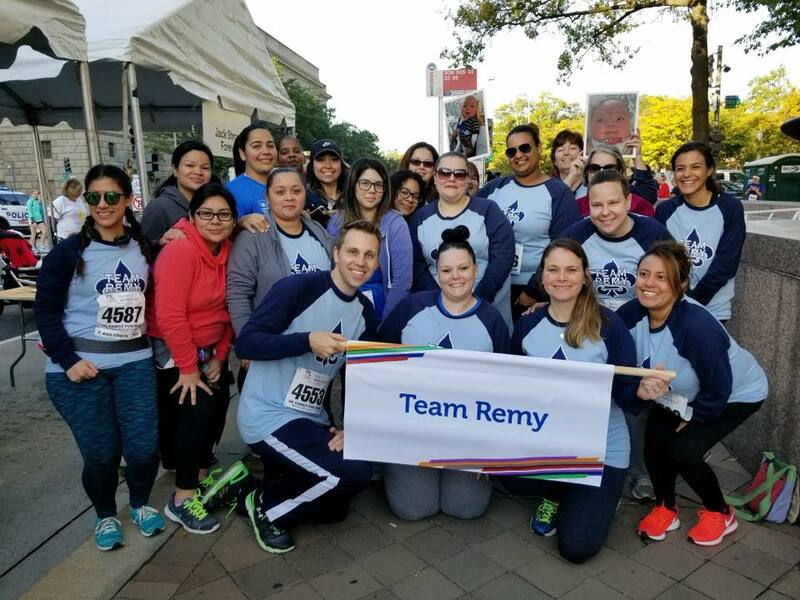 You have the capability to request appointments, talk with our triage nurses, get your child's vaccine records and lab results, pay bills, and request prescripiton refills all through our patient portal. - iScreen: As part of Capitol Medical Group's commitment to provide our patients with the best healthcare services available, we offer digital vision screening by iScreen Vision as part of your child's eye exam, ages 1-5.